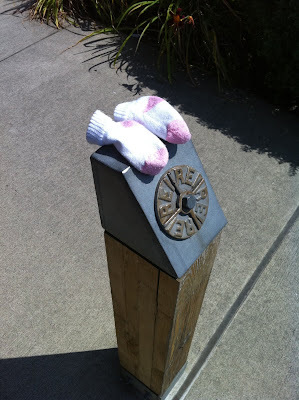 Can you help these socks find their lost child? I always feels sad when I see a pair of mittens or socks (or whatever) cast on the side of the road or walk. Even sadder when there's only one of a pair.